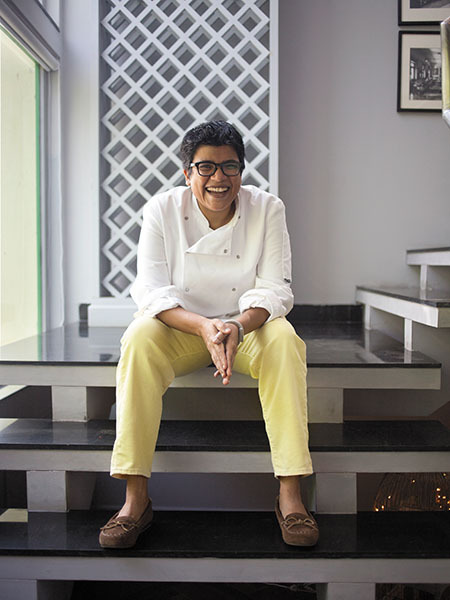 At the turn of the millennium, in 2000, Ritu Dalmia, then 27 and an untrained chef with one failed restaurant behind her, took a gamble and set up an Italian restaurant in Delhi’s GK 2 market, known till then for its hardware stores selling posh bathroom fittings. The rest, as they say, is history. Dalmia’s restaurant Diva, along with restaurateur AD Singh’s Olive Bar and Kitchen that opened the same year in Mumbai, and Rahul Akerkar’s Indigo led, what we can now dub, the “restaurant revolution” in the country: A redefining of India’s eating-out culture and of lifestyle in the metros. 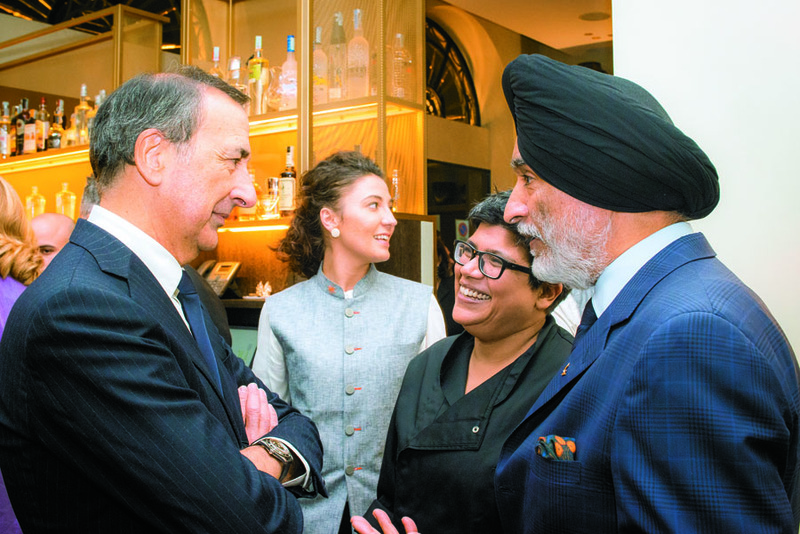 Eighteen years later, Dalmia is on the cusp of another significant moment in her career, which has the potential to take Indian food forward in a significant way, globally. 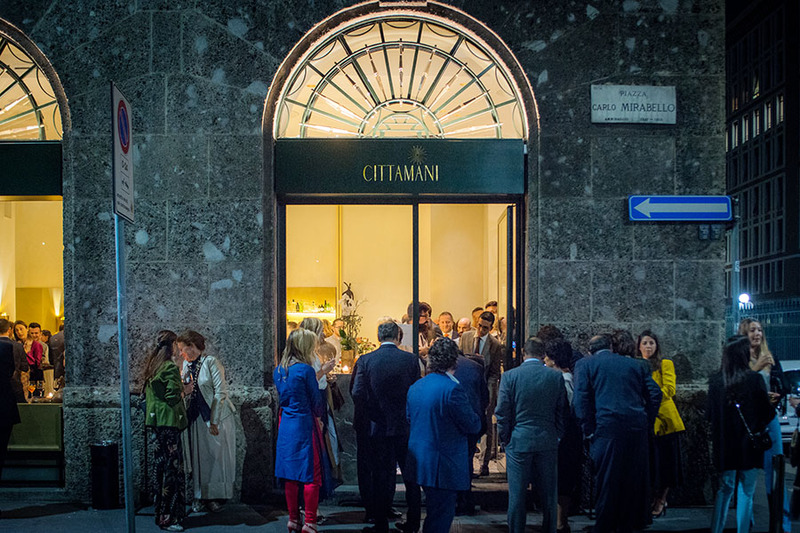 Cittamani, her restaurant in Milan that has on offer a fusion of Indian dishes with Italian cooking, is now six months old. 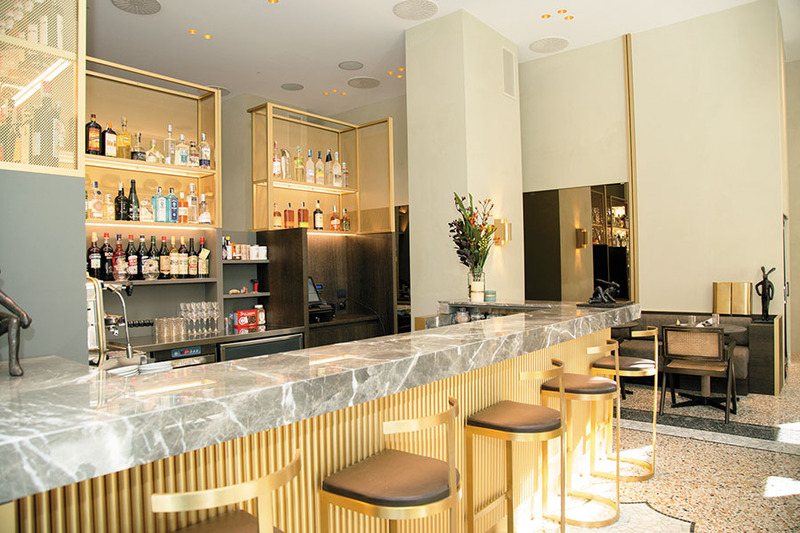 It’s been doing roaring business since it opened last August with a primarily European clientele, and Dalmia is now ready to grow her European empire. Unlike the cheap tandoori restaurants that dot European cities, Cittamani, a synonym for the feminist Buddhist-Tantric deity Tara, re-positions the image of Indian food as upscale and refined. Dalmia is doing that both with her focus on healthier, lighter, flavourful regional recipes as well as the way in which the brand has been conceptualised. A 60-cover restaurant, Chittamani has an all-Italian front-of-the-house staff, a quality wine list—mandatory in a country known for its extensive wine heritage—and an average dinner price of 60 euros per person, almost 50 percent more than what Europeans are used to paying for cheap curry dinners. On the menu is food such as tagliolini with kurkuri bhindi (instead of the traditional asparagus), risotto with Hyderabadi baigan ka salan, Bikaneri roti wraps, besides more straightforward renditions of traditional regional Indian dishes. Like with her business in India, revenue comes not merely from restaurant sales but from catering as well: Cittamani’s most famous catering order has been the wedding of cricketer Virat Kohli and actor Anushka Sharma in Tuscany last December. This is modern Indian food that the European market has not seen before. While London is the hotbed for modern Indian food—Rohit Khattar’’s Indian Accent set shop there in December to rave reviews—continental Europe remains unexplored by restaurateurs and chefs from India, with the exception of chef Atul Kochhar’s Benares in Madrid (an outpost of the London restaurant set up in September 2015). Dalmia’s foray will change that; it’s a culinary adventure backed by solid business too. Though Dalmia says her Milan plan was initiated before Piveta Estates, a private venture of Max Group Founder Analjit Singh, bought a 51 percent stake in her company, Riga Foods, in October 2016, the European expansion is undoubtedly a result of the funding. “We had been getting many offers from private equity funds who wanted to invest in the company, but I did not want to take those up because there is always a pressure to keep opening new restaurants to increase valuation with such deals. I am not a monkey to keep jumping. Mr Singh has been my customer for two decades and I was comfortable when he decided to put money into the business without any such conditions or pressures,” says Dalmia. Dalmia now owns 35 percent of Riga Foods, and partner Gita Bhalla owns the rest. The creative control of the business still lies with Dalmia, although Singh seems an enthusiastic and hands-on partner. Our conversation, for instance, is interrupted by a long call from him to discuss a menu that Dalmia is planning. “He likes food,” says Dalmia, adding that what she has gained from partnering with Singh is the transitioning into a more systems-driven company, which is essential to scale up. “As a conservative Marwari girl, I was always hesitant to invest more in people. This is a business where inevitably everything centres around a single person. He [Singh] advised me to hire more staff so that I could free myself from everyday operations,” Dalmia says. 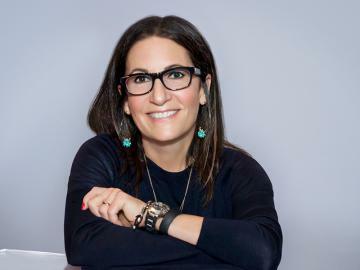 Despite all this, the business does revolve around her, inevitable perhaps for a celebrity chef-restaurateur who is both the face and backbone of a highly individualistic business. Dalmia spends around 10 days in Italy every month, maintaining homes in both in Milan and Delhi. For now, the focus is on Cittamani, which is set to go pan-Europe “to all the B-towns because competition is less there”, says Dalmia. However, there are other new brands in the making too: This May, Dalmia will open an Italian restaurant, Stella (“star” in Italian, synonymous with Cittamani/Tara; the star is the leimotif for all her European brands, Dalmia says) in the UK at the boutique hotel Linthwaite House in the Lake District. The hotel was acquired by Singh in 2016 as his first hospitality acquisition in the UK, and had been shut for extensive renovations. It is set to reopen this month as a premier property under Singh’s hospitality brand, Leeu Collection, which has boutique hotels in South Africa, the UK and Italy. All these could be potential venues for Dalmia’s restaurants. Dalmia’s third brand for business in Europe will be an Asian one, on the lines of Diva Spiced (where she serves Asian-style food cooked in an individualistic way) that continues to run in Delhi, though it has not proved to be inordinately popular. There are plans to open this Asian diner in Milan in the next few months in a casual, mass format—80 covers, 40 euros per head, four turnarounds a day, which means about 300 people eating daily. It’s an ambitious target but one that Dalmia feels is achievable because of a dearth of Asian casual dining options in Europe. How does the ease of doing business in Europe compare to that in India? Despite the sector booming in India, restaurateurs often complain about how tough things are, thanks to high rentals, irrational laws, and a lower propensity to spend. While Dalmia says profitability is roughly the same (15 to 18 percent for a well-run business) both in Europe and India and that lower rentals in Europe are offset by high labour cost, the ease of doing business is much more abroad. The business is also less fickle with a steadier clientele and fewer political uncertainties. “However, this is always going to be my home,” says Dalmia. With interest in Indian food at an all-time high, Indian chefs have increasingly been looking at foreign markets. Companies like Zorawar Kalra’s Massive Restaurants are on a signing spree in cities like Dubai and Singapore for pop brands like Farzi Café. Anjan Chatterjee’s Speciality Restaurants, the only publicly listed company in India operating full-services restaurants, has been on the lookout to set up a Bengali restaurant in London. Khattar’s Indian Accent has had successful showings in New York and London, making chef Manish Mehrotra a global phenomenon. Then, there are chefs like Himanshu Saini and Sujan Sarkar who have moved from India and are working for restaurants set up by foreign investors in Dubai and San Francisco. However, despite the attention that upscale Indian food has been getting in mature markets—that have larger Indian communities and are more comfortable with the country’s cuisines—the reality of a global Indian culinary boom on the lines of Japanese or Peruvian is tougher than it appears. In February, chef Floyd Cardoz, instrumental in familiarising New Yorkers to upscale Indian dining with Tabla in the early 2000s, had to shutter his Paowalla in SoHo. The restaurant that opened in 2016 was not getting enough customers, according to Cardoz. He has now opened a more casual eatery, Bombay Bread Bar, in the same space. Dalmia’s adventures in Europe—a market more alien and tradition bound—will be an instructive tale. Hopefully, it will be one to savour.